Now that marijuana is legal for recreational use in many states, potential customers might wonder what exactly they can buy from a dispensary. The first thing to know is that not all dispensaries are created equal. 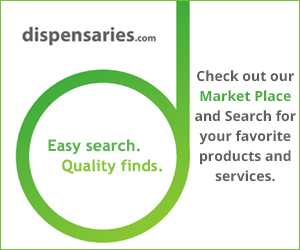 There are online dispensaries where you can purchase many items, including the marketplace here at dispensaries.com. There you will get connected with companies that offer many of the items listed below. States with legal medical marijuana will usually require a medical marijuana card and ID from buyers. In states where recreational marijuana is legal, you’ll need an ID. It’s also important to bring cash. Most dispensaries, which typically don’t get offered financial services from banks, must operate in cash only. Some may accept cryptocurrency, so call ahead to find out. So, what can you buy at a dispensary? Read on. Obviously, this is what most people think about when they consider going to a dispensary. You’ll want to consult with the budtender about the right strain for you. Generally speaking, Sativa strains boost energy while Indica strains offer a more full-bodied, relaxing experience. This is one of the exploding areas in marijuana. Edibles come in many different forms these days. There are gummies, chocolate, and even water. This is another area where you want to consult the expert in the dispensary, as edibles can affect you differently. Typically, it takes longer to feel the impact, but it lasts longer. This is one of the go-to choices for those who don’t like to smoke marijuana. And here’s another go-to choice for those don’t like to smoke marijuana. Vaporizers or vape pens heat marijuana to just below the combustion point, creating a vapor that you can inhale. Advocates consider it a smoother experience for inhaling marijuana. This is an area of growing interest for the cannabis curious who visit a dispensary. 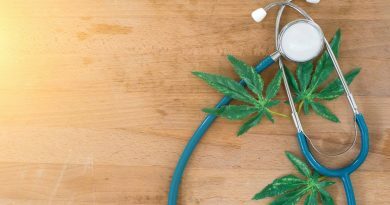 CBD products offer many of the health advantages of marijuana without THC, the chemical in cannabis that causes the high. Rather, CBD products contain cannabidiols, which can help with a host of issues. Those include chronic pain, muscle aches, nausea and even anxiety. Another area of CBD products that can offer relief without the high. Topicals are used to battle inflammation and ease muscle pain. Lotions, balms and infused creams are available, each specifically designed to help with your specific challenge. If you become a user of cannabis on a regular basis, you’ll want to look into getting the right kind of accessories. When shopping cannabis fashion, you can find everything from T-shirts to discrete carrying cases for your cannabis stash. Will every dispensary have the items above? You’ll only know if you go. But remember that dispensaries go far beyond just offering marijuana to smoke. As the market matures and customers become more sophisticated, the number of products will only continue to multiply. ← Did You Know Cannabis Helps Menopause Symptoms?